I enjoy teaching courses in the areas of research methods, community psychology, health psychology, and ethical issues. I believe that students learn best through opportunities to apply concepts outside of the classroom. I strive to create a classroom environment in which students feel free to express diverse views, and to develop new ways of thinking and skills that will extend long after much of the specific course content is forgotten. I am currently the Honours Thesis Coordinator in the Psychology Department, and I teach the Honours Thesis course. 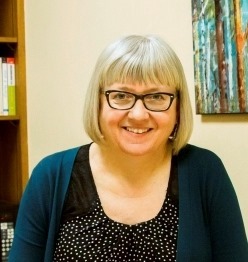 I have received a number of teaching awards, including the OUSA Award for Excellence in Teaching (2011), the UWSA Teacher of the Year Award (2011), and the Kathleen E. McCrone Teaching Award (2009). Courses that I teach on a regular basis are listed below.